To get you started, here are the 25+ best flyer design ideas for you to add to your toolbox. All of the flyers I’m featuring here have been created using an awesome flyer maker with photo (my term for flyers that build their effectiveness around great photos), found at Placeit. Now, Placeit is one of the largest collections of flyer templates on the internet, and it’s a great resource for helping you create the best flyers in the shortest time possible. If you’re creating a flyer for food promotion, you want people to salivate when they see it. Happily, that’s exactly what people are going to do when they see the flyers you make with the Food Flyer Maker. 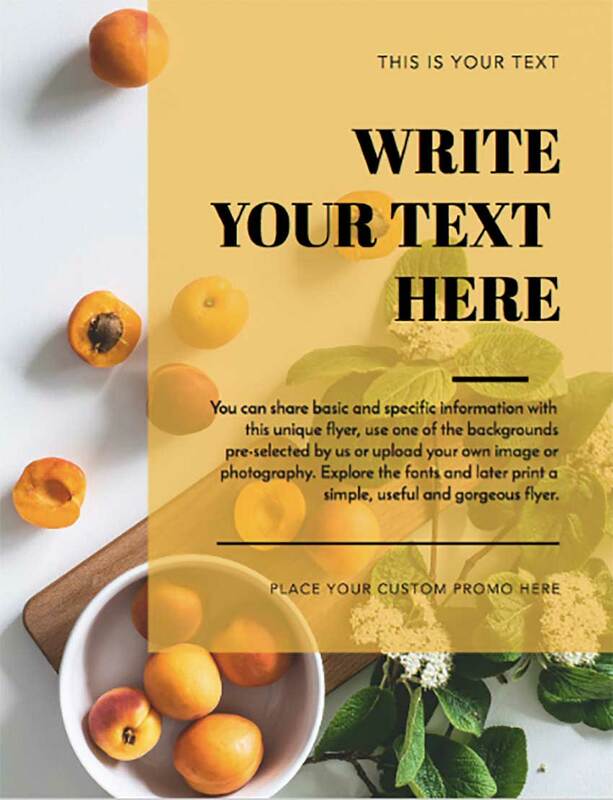 Not only does this template come with mouthwatering photos of food, but it has great graphics and strong, colourful fonts that call attention to the fact that there’s a special discount or a new menu on offer. Definitely one for the toolbox. Creating flyers for car dealerships, auto repair shops and related businesses has never been easier. Take a look at the Auto Repair Flyer Maker for Auto Shops template and you’ll see what I mean. All you need to do is select a background image or upload one, type in the relevant information, and your professional automotive flyer is ready to be printed. A simply wonderful template for some flyer design inspiration, Organic Market Flyers is packed full of organic and eco-friendly graphics including fruits, vegetables, plants, and flowers. It’s just perfect for advertising produce, farmer’s markets, and anything else dealing with fresh and wholesome food.